Police Officer Darryl Wallace was killed in a single vehicle crash while responding to a prowler call at approximately 8:30 pm. He had his emergency equipment activated and was attempting to pass another vehicle when his patrol car left the roadway at the intersection of Tara Boulevard and Old Poston Road. 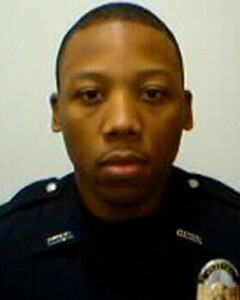 Officer Wallace had served with the Clayton County Police Department for only five months. Salute you my brother! Thank you for your service.